David has been teaching scripture since shortly after he met the Lord in 1974. Since that time he has taught a weekly Bible study or two almost every week. Teaching scripture is one of the loves of his life, and he never feels as alive as when he is sharing what the Holy Spirit gives him to teach. 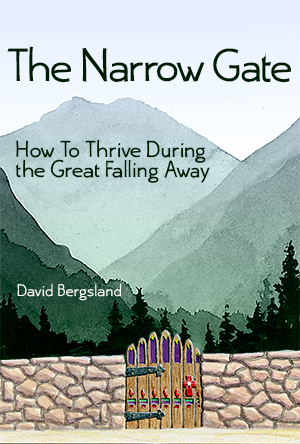 Bergsland’s Biblical non-fiction is the result of that. He has written many books and countless articles, essays, and teachings. 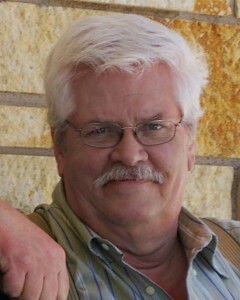 On The Skilled Workman, he writes books on font design, FontLab, typography, book design, book publishing, and InDesign. He has also published two Christian fiction books: Daniel’s Mighty Men, and The Righteous Perish. The ones listed below are five of the books which have been released in print, ePUB, Kindle, and Gumroad packages. Several are available as audiobooks, also. There are several more at the various vendors. Here’s the link to David’s author page on Amazon. It has most of them. We’re expected to come to a place where we have overcome the evil one in our daily lives. Of course, it’s a constant battle for he hates us and has many minions. But we can live in victory and peace. This little booklet will get you headed in that direction. Like most areas of the Christian walk, The Lord has it all covered. All we need to do? Walk in it. With over 40 years experience in this specific endeavor, David can help you live more victoriously. My most popular Biblical teaching: This book shares nearly forty years of experience in leading Bible studies to you. It shows you how to proceed so that the Holy Spirit can actually lead your Bible study. This is the only way you can actually be used to transform people’s lives. We have no power in ourselves except for the power of God which lives in us. You need to learn to tap that power—allowing it to flow through you to touch people and transform their lives. The power is in the Lord. Click here for a more thorough description. I’ve come to believe this is my best Christian book so far—or maybe it’s just the concern closest to my heart when I look at the modern, largely apostate, church. Click here for a more thorough description. Matthew 7 tells us that these horrible words will be heard by many in the church. If it doesn’t concern you, you should take a closer look at your life. This is eternal life as Jesus told us in John 17:3, that we know him intimately. One of the richest ways to describe our relationship with Jesus is as His betrothed. We are engaged to be married to the perfect husband. Just as Jesus is the second Adam, restoring mankind’s relationship with the Father, we are the second Eve, the divinely given helpmate for our husband. The day is coming soon when we who know Him will be married to our husband. What a wonderful day that will be! It’s almost beyond comprehension to contemplate what our relationship with Him will be in the new Jerusalem. It’s what He desires, and the reason you were created. Enter into the wonder of His presence! 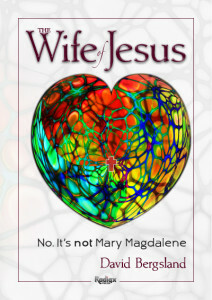 The Wife of Jesus is available at all the normal online venues in print, iBooks, Kobo, Nook, Kindle, and audio [Amazon or iTunes] versions. 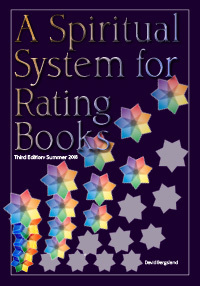 A DRM-free archive with a downloadable PDF [in spreads], an ePUB, and a MOBI versions is available here. This one was great fun to write. In it I was able to share my excitement upon learning how directly involved the Lord is with us and the rest of His creation. Indeed, we’re coming up on a time where the earth will probably be remodeled as much or more than it was during the Flood. End the confusion! God’s people have been sold a bill of goods. If you think about it at all, evolution could not be true. If this young earth is really billions of years old, then God is a liar. You know that isn’t true. 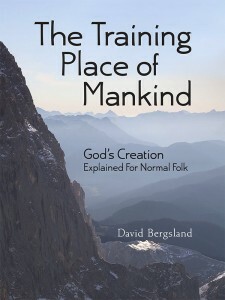 This book tells the tale of God’s creation lovingly, by a man who only recently came to his senses. It had been obvious when he visited the Grand Canyon that this hadn’t happened over countless millennia. It had happened quickly with a massive flood of water. God made man. We didn’t come from apes. The first two chapters of Genesis make excellent scientific sense when you understand how God did it and why He did it in the order it was done. It’s amazing how clear it is when a believer explains how it works. Join David on a glorious trip through the 7,000 years of creation. Yes, there is only one millennium left for this one. Then this training place is dissolved in fire and replaced with what we commonly call heaven. God calls it a new creation. Rejoice in the glory of what He has done for us!